It's great to know EAH is still in game, despite the lower quality and lack of articulated bodies. I really like this Apple. Her design is giving me some 60's housewife vibes, who's always baking something and has the nicest garden in the whole neighbourhood. 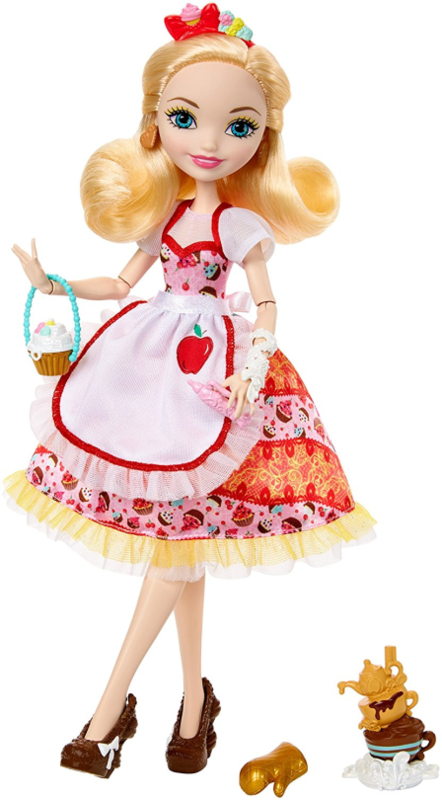 And this is probably the first time we get an extra dress with ever after high doll? People tend to skip Apple's relation with her mom, and that's a mistake, because it's the main reason why she's acting this way. Snow White is a symbol of beauty, success, kindness and fairness in EAH universe. Her mother was/is the "miss perfect" to the point that people almost gloryfy her (well, she's also the Queen) and Apple want's to follow her steps and not dissapoint her. On the other hand she's worried what may happen to her friends and their stories, if they decide to not fulify their destinies. Sure, she's not saint, but not as bad as some people may think. Ahhh, she's so pretty. FdC is such a great release. She's so pretty! I love her dress, can you share any hints on how you made it? Oh my gosh she is so lovely!!!!!! 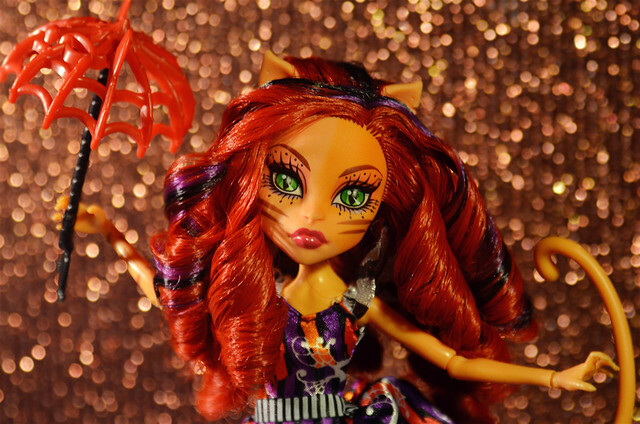 I finished my first ever after high custom. 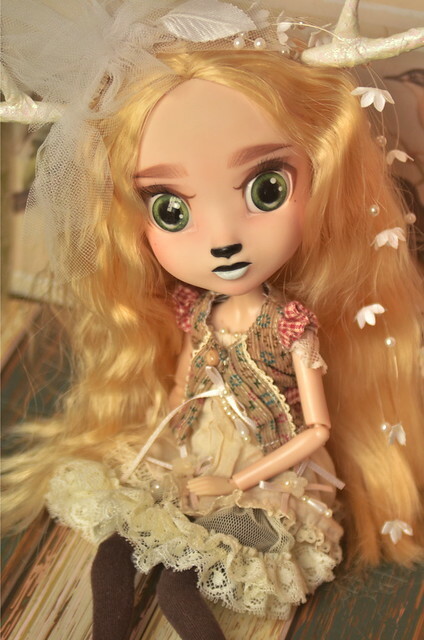 No repaint this time, but I gave her new hair as well as dress (and she's on Briar's body). Neight looks like a dream!!! I can't believe, but I managed to get them through one agent. Now I just have to wait and hope, that their box won't come smashed! Evil, nice work! She looks really fierce! Could you please post a close-up of her eyes/eyebrows? I adore her eyebrows in particular. Thank you for the tips on the Shibajuku dolls. 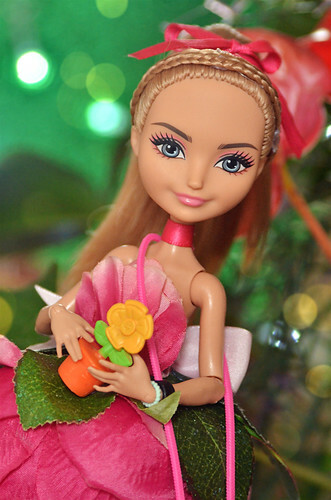 I've looked at them in stores, and kinda felt like for that money, I'd rather just save up to get a Pullip. Or just continue with my MH collection. So thanks for the thoughts on body quality of them, that's helpful. I will post a closeup, as soon as I'll be back at home, so expect pictures on saturday/sunday! Gorgeous customs!! I love especially your Spectra repaint and the Shibajuku girl. She actually looks like a doll I would be interested in now instead of... well, how her stock looks! Awesome job! I'm glad you like them. I'm quite pleased with Spectra's new look, however she needs a better outfit. I'm currently working on three MH girls for my friend, and one of the dolls is a frightfully tall Frankie. Maaaan, I want one. She's gorgeous! This "thing" doesn't even deserve being called a Happy Meal toy. She looks adorable, EvilCupcake! Much better than the stock doll in my opinion. Holy cow, she's even paler than the white Obitsu? That's crazy. Thank you! Although I don't really feel attached to her, even after repaint. And yes, her colour is paler and more grayish. Finn was a shelfwarmer at tk maxx, but I'm sure that this 2-pack will be a lot more popular among people. 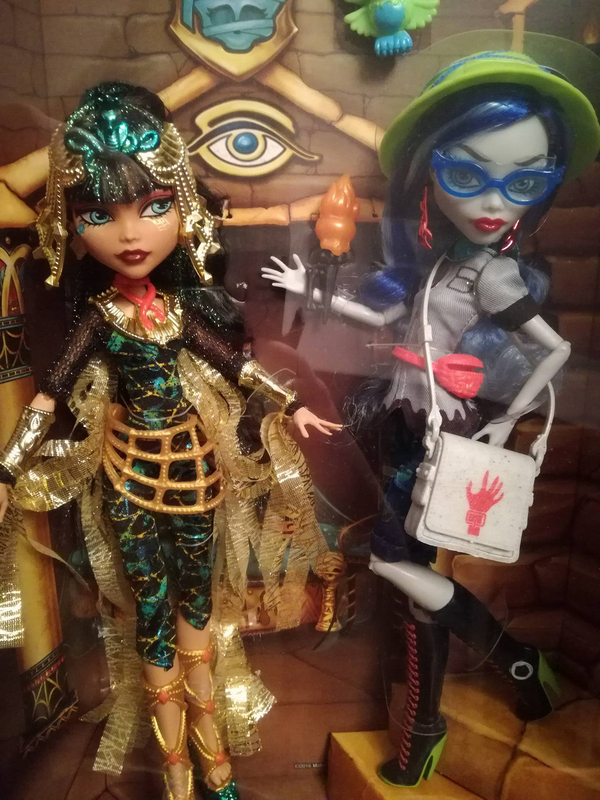 They are both stunning and it feels great, that I can finally write this about monster high dolls! Evil, is that you on the PUDDLE Facebook page, winning a photo contest? Yes, it was me. My tea party always ends with some kind of catastrophe. Also! I have a new repaint to show. I would love to give her a new body, because the stock one is very poorly made, her limbs are woobly and the doll has problems even with sitting, but unfortunately she's too pale for obitsu/pure neemo. Also if you have first version of Koe try to keep her hood away from her face, because the red part may stain the soft plastic. 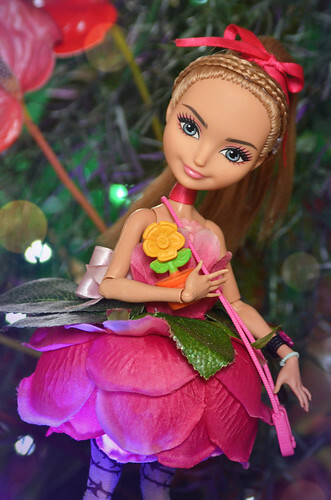 Ever After High Discussion / Re: Jillian Beanstalk colour match. 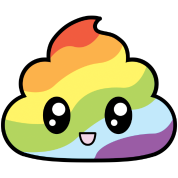 Thank you for replies! I will wait for the head to arrive, just to be sure, that I won't end up with strange looking doll. Ever After High Discussion / Jillian Beanstalk colour match. I need a help with colour matching. Which body would be better for Jillian, Briar's or one from Ashlynn? I have no idea how well informed is Mattel's official facebook page, but they don't know anything about possible SDCC dolls. Besides more popular Snow White and the 7 dwarfs, there is a fairytale called Snow-White and Rose-Red also written by Brothers Grimm (earlier by Caroline Stahl), and I like to think, that those sisters were in some way an inspiration for Apple and Raven. Right? She looks fresh and, for some reason, elegant. I like the fact, that her face doesn't have those reboot puppy eyes.